Henri Foucault has been invited to do a solo show in dialogue with the woks of Boldini exhibited in the museum. The artist created for the occasion some outstanding pieces. A must-see exhibition, curated by Dominique Païni. Amélie Labourdette's new series, "Kósmos", will be unveiled at the Beaux-Arts School of Nantes during a group show entitled "This other world which is also ours" and curated by Thé-Mario Coppola. The new series, made during two residencies in the USA, is composed of 45 stunning Piezography prints. The exhibition Looking for the Masters in Ricardo's Golden Shoespresents 120 photographs by French photographer Catherine Balet. 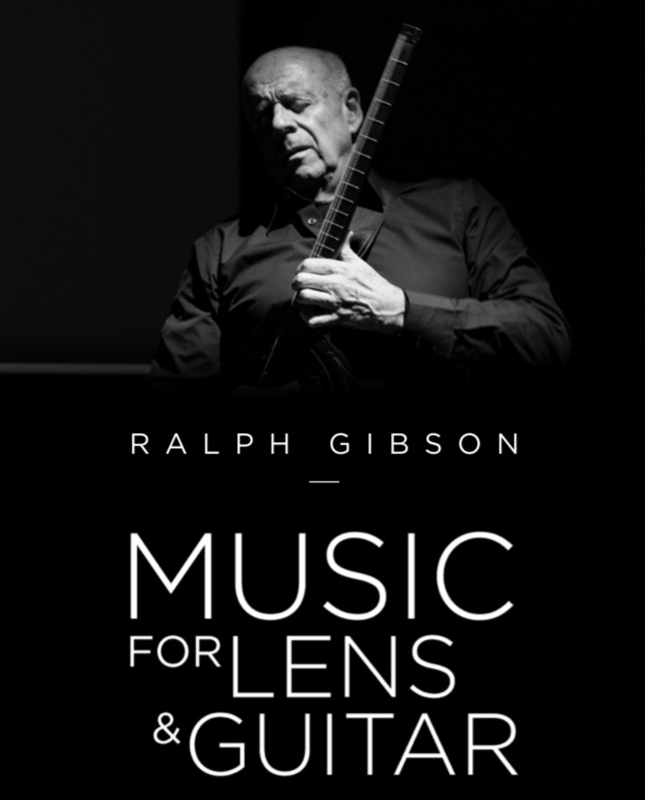 Ralph Gibson gives an unprecedented live performance mixing music, video and photography. A great opportunity to discover a selection of the “Vu, Imprévu” series we had shown at the gallery a few months ago. Join us for this very special fair! We will do a solo show of the works of Italian artist Vittoria Gerardi : a selection of the Confine series and a special preview of her upcoming “Pompei” series. A photographic constellation of images, Traces of a human occupation (by Amélie Labourdette), aims to capture through evolving temporal strata, the imprint and traces left by human occupation in the different landscapes and singular places that constitute the Gafsa Governorate mining basin territory in Tunisia. Culture Secrets is a high-end club that provides its premium members with private tours and special previews of the most interesting art-related events in Paris. They selected Galerie Thierry Bigaignon and the Harold Feinstein's Graciously Yours exhibit to host their next event. The "Jeudis Arty" is a great opportunity to visit some of the most important galleries in Paris and more particularly in the "Le Marais". This year, once again, the Galerie Thierry Bigaignon has been selected to be part of the VIP program. Get a free private visit of Harold Feinstein's Graciously Yours exhibition. Mr. Ralph Gibson has been nominated by the President of the Republic of France, Emmanuel Macron, to receive France’s highest distinction, knight of the « Légion d’Honneur ». The medal will be handed over to him by the Minister of Culture herself, Mrs. Françoise Nyssen, during an official ceremony which will take place at the gallery (by invitations only). Renato D'Agostin's color series "Valsanzibio" was showcased for the first time in a very private and highly prestigious exhibition. 19 large format works were exhibited to celebrate the 25th anniversary of an important Law Firm. The gallery will participate to the first edition of the "Mardi Arty", a great opportunity to visit the current exhibition "Vu, Imprévu" by Ralph Gibson in a privilege fashion! 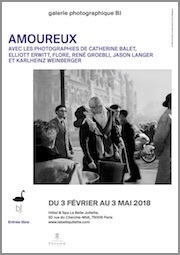 The Parisian hotel "La Belle Juliette" celebrates Love with a selection of photographs by Catherine Balet, Elliott Erwitt, Flore, René Groebli, Jason Langer and Karlheinz Weinberger. Paris and New York have been passionately photographed since the nineteenth century. This new exhibition at the BJ gallery offers a dialogue between these two major cities, the vision of several photographers, in color and in black and white, on theses Villes Lumières. Works exhibited include those from Alain Cornu, Elliott Erwitt, Gail Albert Halaban and Takeshi Shikama. For the fist time ever, we will showcase more 80 images from Catherine Balet's series "Looking for the Masters in Ricardo's Golden Shoes"! Meet Catherine Balet and her muse Ricardo Martinez Paz during the opening on December 13th at 6.30pm. 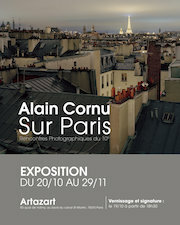 Meet Alain Cornu at the Artazart famous bookstore in Paris for a special book signature on October 19. The book signature will mark the opening of an in-situ exhibit of a selection of his work on the rooftops of Paris. 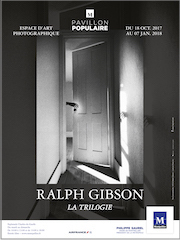 Under the artistic direction of Gilles Mora, The Pavillon Populaire of Montpellier presents Ralph Gibson's famous Trilogy (1970-1974). For the first time ever, the 150 photographs composing this trilogy will be shown. This exhibition is already considered an absolute "must-see" this last quarter of 2017. The gallery will participate to the 2017 edition of this "special Sunday" where the 100 best galleries in Paris open their doors to an ever-growing public. Catherine Balet's series "Looking the Masters in Ricardo's Golden Shoes" has been selected to participate to the 5th edition of this international photography festival exclusively dedicated to the portraits. Bringing a selection of 25 photographs from Catherine Balet's acclaimed series, no doubt the festival will have once more a great success! Meet us there at the grand opening on June 16th. The "Jeudis Arty" is a great opportunity to visit some of the most important galleries in Paris and more particularly in the "Le Marais". This year the Galerie Thierry Bigaignon has been selected to be part of the VIP program, alongside RX Galerie and Baudoin Lebon. Get a free private visit of Renato D'Agostin's exhibition "7439". Meet us during Photo London 2017 for this special preview screening of an excerpt of "Last Stop Coney Island: The Life and Photography of Harold Feinstein", a documentary by filmmaker Andy Dunn, presented by art historian Carrie Scott and photography expert Philippe Garner on behalf of CS&P and Photo London. We are proud to be part of the official selection of the Paris Month of Photography 2017 with our retrospective of Harold Feinstein's work. This event which is organized by the Maison Européenne de la Photographie has been a key photographic 'rendez-vous' since 1980, and it is extended to the Greater Paris area for the time this year. Introducing Harold Feinstein's immeasurable talent and legacy to a new audience and preparing for his ‘renaissance’, the retrospective will span over several years. The first part of which is dedicated to the early years of Harold Feinstein's work (1940’s and 1950’s) with a selection of black and white photographs full of humanist qualities and contagious optimism. The 2017 edition will mark photo l.a.'s third year at The Reef, with 60,000 square feet of premium event space on the building's second floor. The Reef is a "complete habitat of creation", with a mission to support all types of creators and bring together diverse artistic communities. Based in the historic LA Mart building, The Reef's central downtown location is conveniently situated near LA's major freeways and Metro system, providing easy access by car and public transit. The Reef offers affordable onsite parking and is within walking distance to many prime restaurants, hotels, and retailers. A brillant opportunity for us to unveil a very special series from legendary photographer Ralph Gibson! The first surviving photograph, first selfie, first picture left on the Moon and first digital photograph - this is just a part of the story, comprised of 2500 photographs in a space of almost 2000 square metres. On the 17th of November, the specially renovated spaces of the Main Railway Station in Wrocław will see the start of PHOTOGRAPHY NEVER DIES - a photograph exhibition about photography, wanted by the most prominent museums from Moscow and Hamburg even before its premiere. The Visual Arts programme of the European Capital of Culture Wrocław 2016 would like to invite everyone to take part in the event. Showcasing 50 photographs from Catherine Balet's series "Looking for the Masters in Ricardo's Golden shoes". Satellite Spirit is a new kind of fair, one which showcases the work of young and promising galleries. It will present a major group show where artists, curators, collectors and gallerists come together in a strong and an unrivaled collaborative project. The first edition will be held on December 8-11, 2016 in Paris at the "Espace Marais Marais" (rue de Beauce, 75003 Paris). Exhibiting a preview of Amelie Labourdette's latest series, "Empire of Dust", 5 months prior to the opening of her solo show at the gallery! Since its creation in 2011 and in collaboration with over 250 galleries, fotofever has been offering visibility to emerging artists using photography in their creative process, and encouraging art enthusiasts to start a collection. Join us for the fifth edition of fotofever, in the world's capital of photography! Showcasing Catherine Balet's latest series "Looking for the Masters in Ricardo's Golden Shoes".